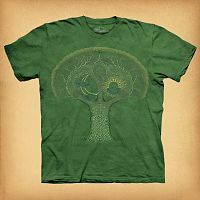 - With trunk and branches woven from strands of Celtic knotwork, this ancient tree holds the Sun and Moon in its branches, and serves to connect the earth with the heavens. T-shirts are 100% cotton, and are printed with environmentally safe, water based inks. 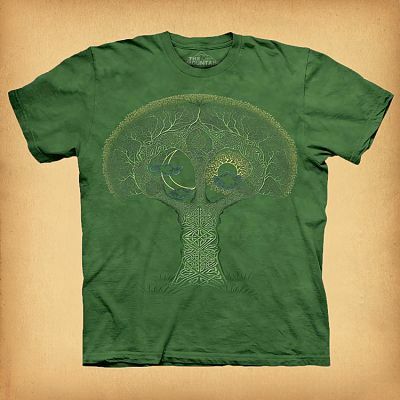 Choose Size... Small Medium Large X-Large 2X-Large ($24.00) 3X-Large ($26.00) Please choose the Size. 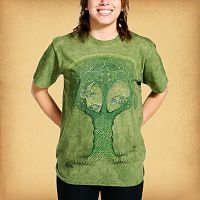 Do you have any other questions about our Celtic Roots T-Shirt?